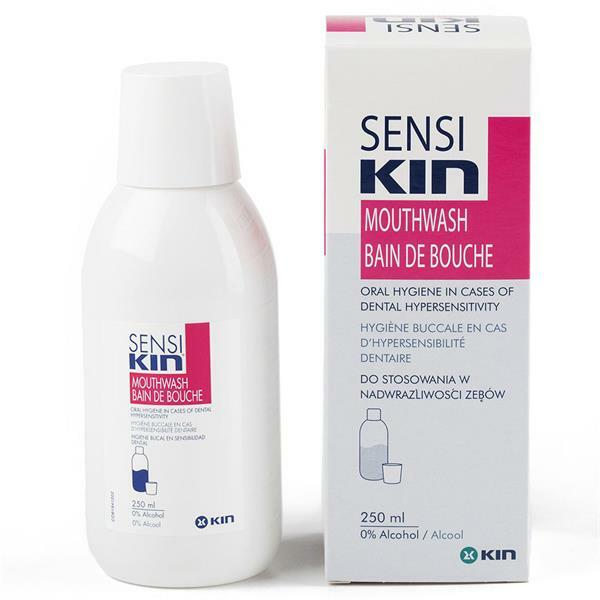 Formulated with potassium nitrate (5 %) and sodium fluoride (0.32 % equivalent to 1450 ppm fluoride), Sensikin mouthwash is a powerful desensitiser. Besides, it contains pro-vitamin B5 to protect and invigorate the gums and vitamin E, with antiinflammatory properties, to regenerate the gingival tissues. Does not contain abrasive excipients, so it protects and takes care of the dental enamel. - In situations of dental hypersensitivity. - For teeth sensitive to cold and hot stimuli. - For prevention of caries. - As a maintenance of gingival tissue. Brush teeth for 2 or 3 minutes, at least twice a day, preferably after every meal and before bedtime. Do not swallow.